Today there are more services than ever that will claim they can help with currency trading forecasts and there are numerous experts, who try and forecast the future movements of currency markets. In this section we will look at currency trading forecasts in more detail and what you need to know to do it successfully. You will often see currency trading forecasts for months or a year ahead but these need to be treated with caution - as there are lots of variables that can and do change rapidly, so never look to far ahead. To forecast currency prices use the facts you have that are immediately available and use these as a basis for forecasting. The reason currency trading forecasting is so difficult, is because prices do not just respond to the facts; they move based upon how traders see the facts. Understanding this relationship is an important part of your FOREX education. Lets look at why. Humans determine the price of anything and currency markets are no different. We all have the same facts to look at but we draw our own conclusions individually on what we see. Humans are not logical; they are creatures of emotion and respond to greed and fear. Throughout history the emotions of greed and fear see traders spike prices away from fair value. These sentiment spikes never last for long and prices eventually fall back to fair value. These spikes are easy to see on a FOREX chart and can be traded for profit. If you want to enjoy currency trading success, you need to forecast when these spikes in sentiment are going to change. As a FOREX trader the aim of your FOREX trading system is - to trade anticipate and trade these shifts in sentiment and use them to execute your trading signal at the right time when the odds are in your favor. Many traders like to trade FOREX facts that they see on newswires or in the papers. While stories based upon the facts sound logical and convincing, as currency trading forecasts there normally convincing, logical and wrong. The reason for this is the traders who trade these stories are not! It’s a fact that markets make important tops or bottoms when the markets are at their most bullish or bearish – this is investor psychology at work. Markets become too bullish or bearish and break back towards fair value. So it’s impossible to trade the supply and demand fundamentals in isolation, as by themselves they give no clues to where prices will go next. For more in depth information on technical analysis, its advantages and how to use FOREX charts - you can read the sections on this site. In this section we are going to simply point out that, FOREX charts take into account both the fundamentals and investor psychology. FOREX technical analysis simply assumes that all known fundamentals will quickly show up in price action (and in our world of instant communications this is truer than ever before) however, it also shows how investors perceive the fundamentals. A currency trader using FOREX technical analysis is not concerned with how and why prices move; he simply wants to make FOREX profits when they do. The important point to keep in mind is that we can all look at the news and forecast where currency prices may go and we may or may not be right - however, by simply following and acting on price action on a chart we are effectively trading the reality of price change or trade the truth. We don’t have to make a currency trading forecast, we simply trade the reality. If you make this the basis of your FOREX trading strategy then you can enjoy currency trading success. You will often see news stories that will say a trend will go on for ever and this indicates a bullish or bearish price extreme which is driven by greed and fear and it will exhaust itself. A piece of bullish FOREX news that does not move currency higher or bearish news that doesn’t push prices lower, is telling you that a change maybe at hand. In FX trading you have - but you have drawn different conclusions and are making a currency trading forecast against the majority. 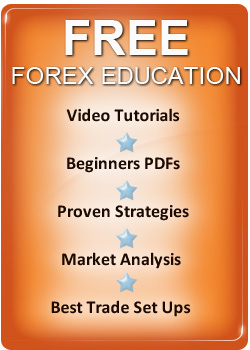 To do this you simply need to look at your FOREX trading charts for clues to where prices may go next. You can trade with the trend until an extreme is reached and then look for turning points. You are making a currency trading forecast but you are also not acting on it until you see evidence of a change on a FOREX chart. You’re trading the confirmation or the truth and if you do this you can enjoy success. In terms of Currency Trading Forecasts you should use technical analysis to enter your trading signals but it helps to know the long term fundamentals because these generate the long term trends and will help you trade with more confidence. In conclusion, you don't need to make your forecasts complicated, just use a simple system to execute your trading signals and if you have the discipline to execute them with confidence you will soon be on the road to Currency Trading Success.